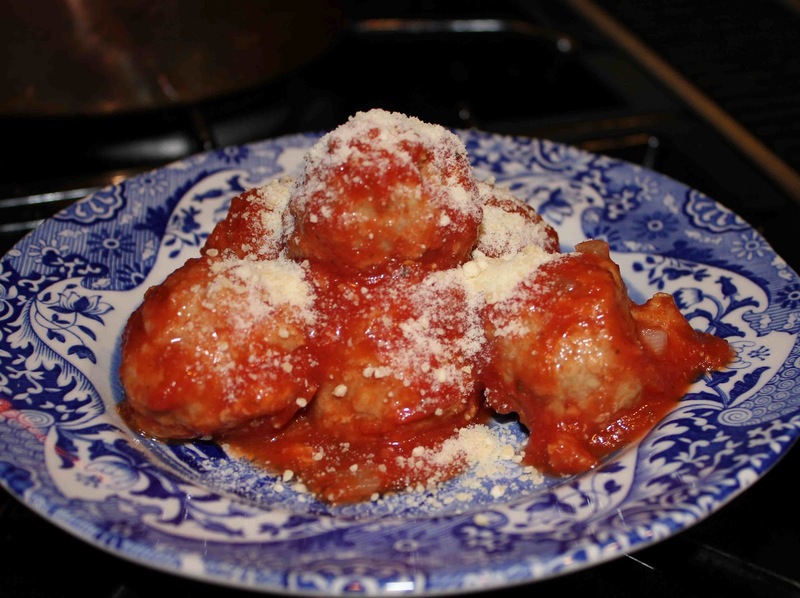 Mmmmm…I’ve only recently discovered how much I love meatballs! Not only are they super cute and bite-sized, they are super easy to make and taste wonderful. I’m sure you’ve also guessed by the name Turkey Meatballs, that these are pretty healthy. 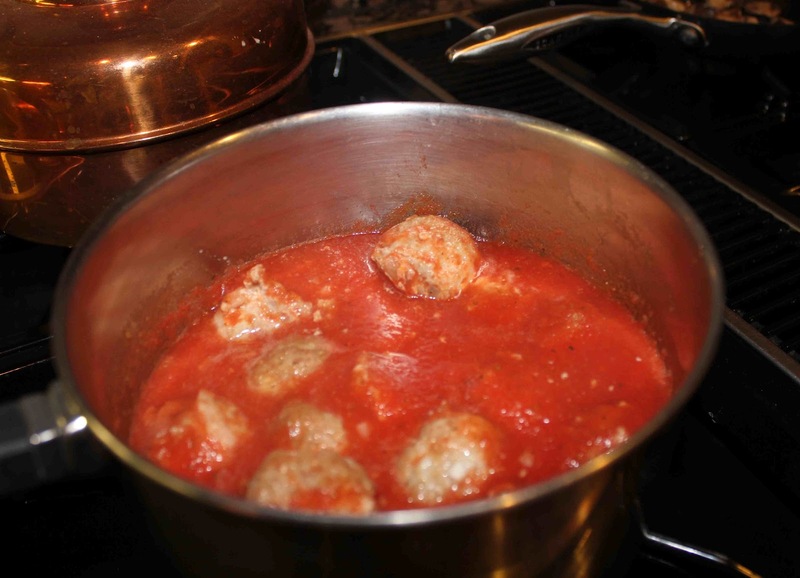 Yes, meatballs with sausage and beef may be more flavorful, but they also contain more fat. Not this recipe! The only fat you are getting is from the ground turkey, which depending on the leanness, could range anywhere from 1 to 6 grams of fat. For a healthy alternative to Italian meatballs, give these a shot and let me know what you think! Combine the milk and breadcrumbs and let stand for 5 mintues. 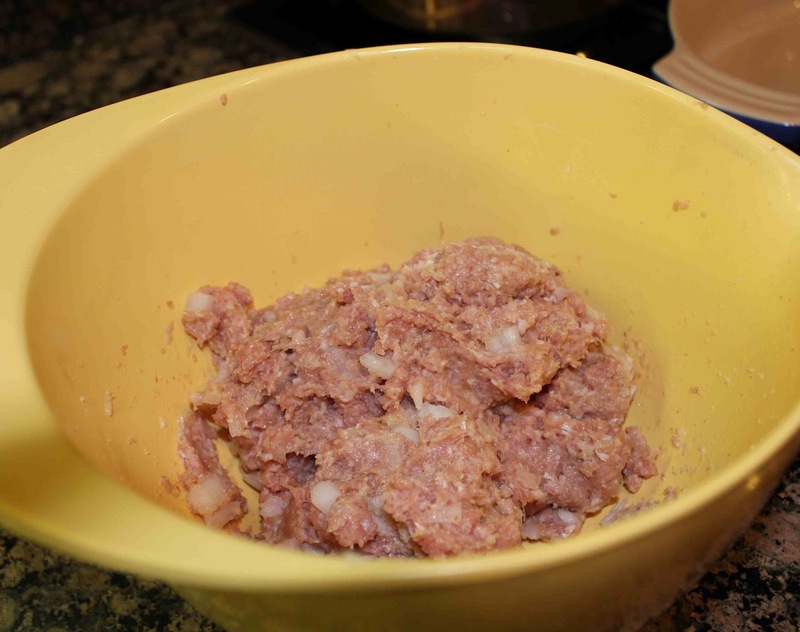 Add the turkey, salt, red pepper flakes and minced shallot. Mix well. Form small balls using your hands, or to be more precise, use an ice-cream scooper. Bake for 20 minutes in a 375 degree F. oven. Meanwhile puree tomatoes in a food processor. Pour into a heavy saucepan and simmer oregano, garlic and salt for 20 minutes or until thickened. 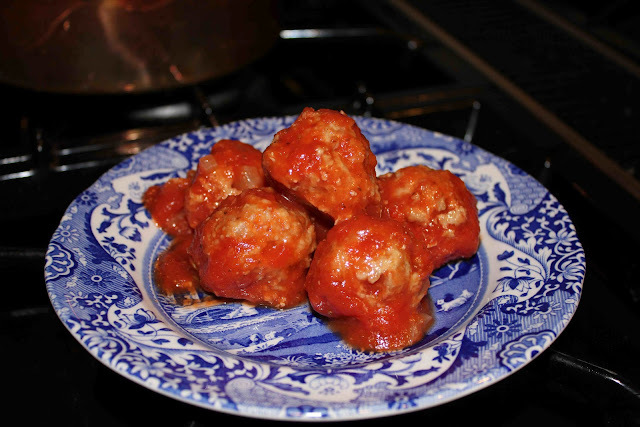 Once meatballs are cooked, place them in the tomato sauce. 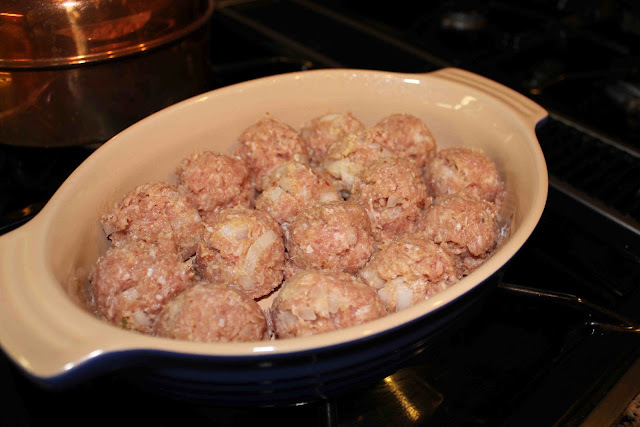 Serve meatballs plain or with pasta, spaghetti squash, or any other carb of your liking. Don’t forget the freshly grated Parmesan cheese (picture above)! 1. 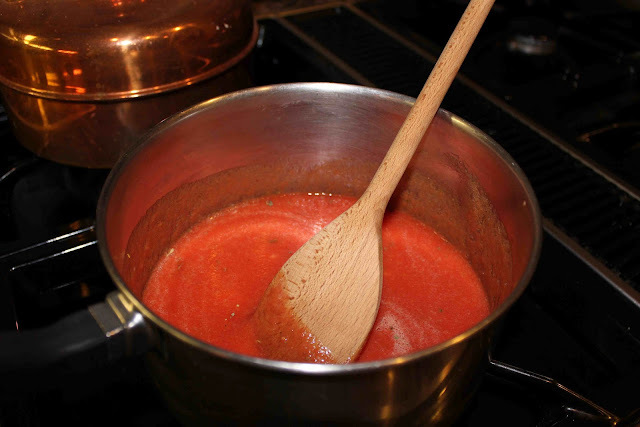 Puree your tomatoes in a food processor or blended until smooth. Pour into a large dutch oven or heavy saucepot and bring to a simmer with oregano, garlic and a 1/2 teaspoon of the salt. Let simmer for about 20 minutes to thicken. 2. Combine the milk and breadcrumbs in a small bowl and let stand for 5 mintues. 3. In a large bowl, combine the turkey, 1 teaspoon of salt, red pepper flakes, minced shallot and the soaked breadcrumbs. Mix well and form small balls (you can use your hands or use an ice-cream scooper to form perfect-looking balls). 4. 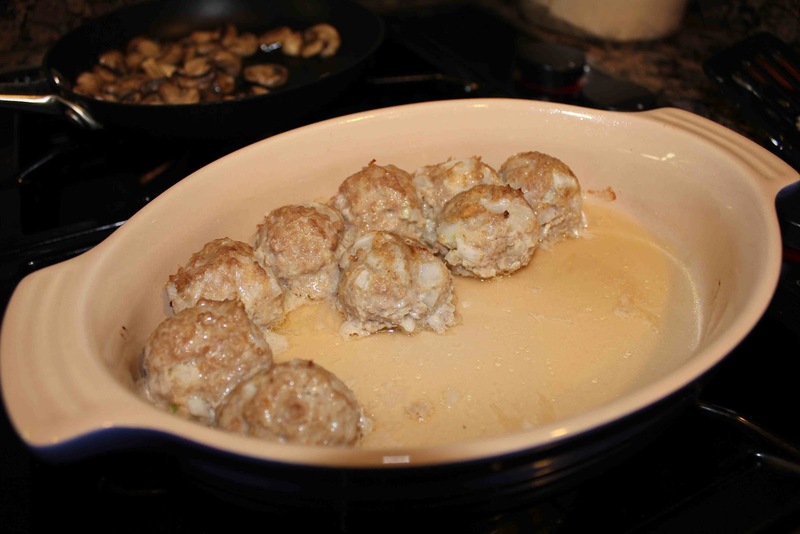 Bake the meatballs for 375 degrees F. for 20 minutes. Once done, drop into tomato sauce and serve plain or with pasta and Parmesan cheese. 2 Responses to "Turkey Meatballs in Homemade Tomato Sauce"
I’m so glad I can help! Thanks so much!